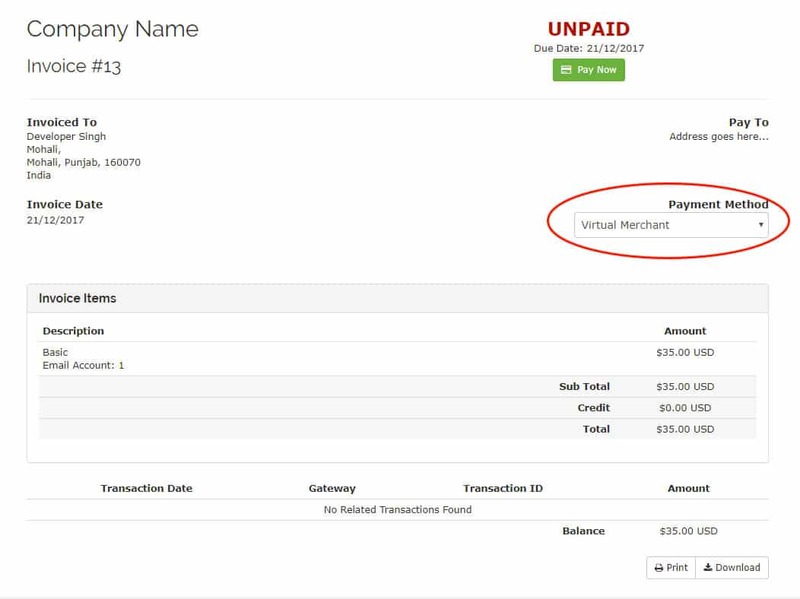 Our Converge Virtual Merchant tokenization gateway module allows a merchant to support all of their recurring and one time invoice payment. 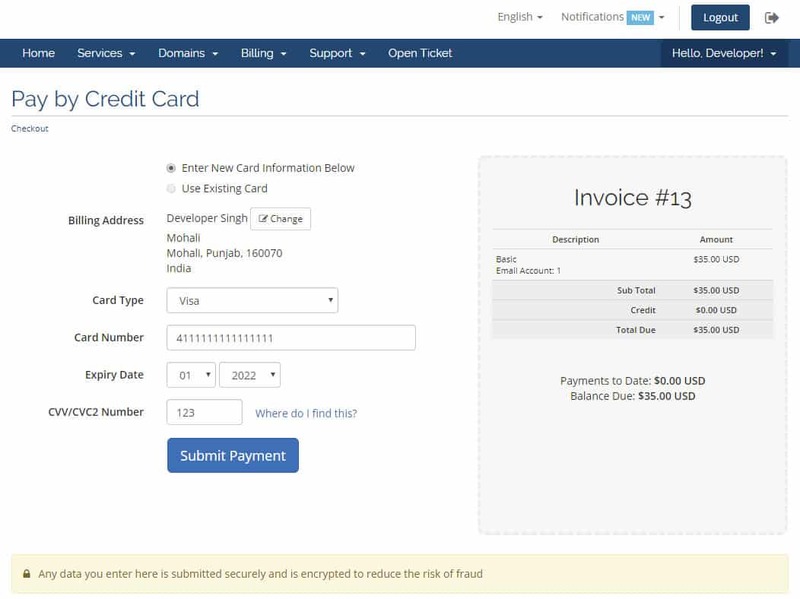 With this module we do not store credit card details locally in WHMCS database. The risk of data theft is eliminated. User enters their credit card details on your website for the very first time. While making payment a request is sent through secure HTTPS method and token is generated. That token is stored in WHMCS user gateway id and your customers cannot leave the website unless the transaction is complete. User will just have to enter the credit card details one time only and after that all the future payment is received through token. Accept payment on your website. Full support for recurring payments using stored tokens for card holder data. Seamlessly switch between production and sandbox servers. 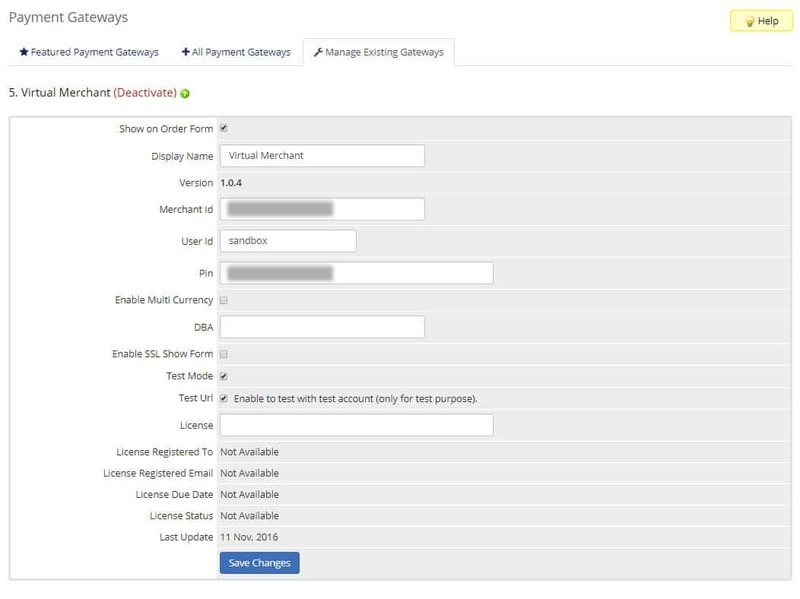 Remove cardholder data stored in tokens on the gateway directly within the WHMCS administration panel.